BOXING LEDGER | LATEST BOXING BLOGS | BOXING ARTICLES | BOXING BLOG FIGHT: Who Is Boxing's Pound-For-Pound King? Who Is Boxing's Pound-For-Pound King? Let's settle this debate right now! Manny Pacquiao is currently # 1 on the Boxing Ledger's pound-for-pound list. 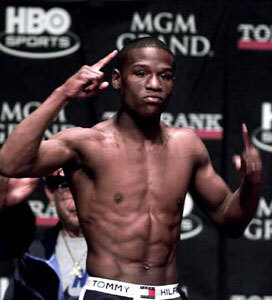 Floyd Mayweather Jr. would still be at # 1 had he not retired. No one has ever defeated Floyd. If Floyd Mayweather Jr. is victorious over Juan Manuel Marquez on July 18th, he will reclaim the # 1 spot on this site's pound-for-pound list. 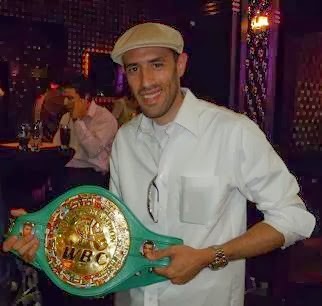 How could another fighter be atop the pound-for-pound list if Floyd returns to beat Marquez on July 18th? 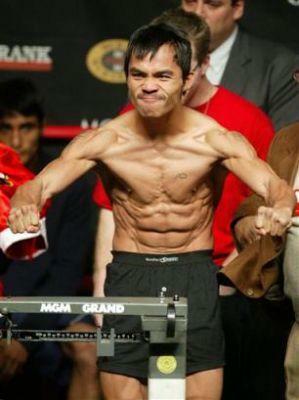 Marquez gave Pacquiao two tough fights and the decisions could have gone either way. A victory over Marquez should end this discussion until Mayweather and Pacquiao potientially meet in the ring! Genaro Hernandez, Diego Corrales, Jose Luis Castillo, Arturo Gatti, Zab Judah, Oscar De La Hoya, Ricky Hatton.....Mile for Mile? I think there are some good fighters on this list.